"So wonderful, I am very grateful and thankful your music has come into my life. BLESSINGS to you and your band. You rock!" There are times when music becomes a truly transcendent experience, uniting performers and listeners in an ecstatic current of beauty and heartfelt emotion. When live music is at its best, the line between performer, participant, and the divine is dissolved and reassembled into one collective experience. 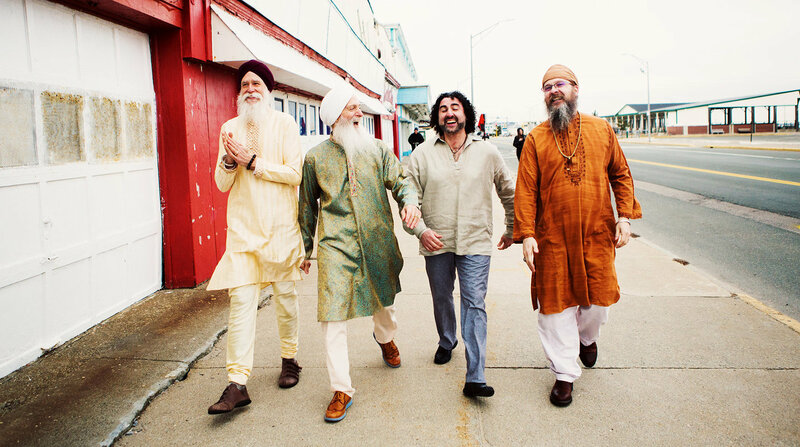 In the tradition of the sacred music artists of our time combined with some essential influences from classic rock ‘n’ roll greats, the GuruGanesha Band embodies an entirely new music landscape and style that is conscious mantra based rock. Their open hearts encourage all to sing, chant, dance and meditate along with them. Those who have experienced the GuruGanesha Band live in concert already know that the group tears down the house while lifting the audience’s collective spirit to a higher plane. They are guiding the way towards a bold and blissful new direction for live mantra music that is perhaps more necessary now for the planet than ever before.